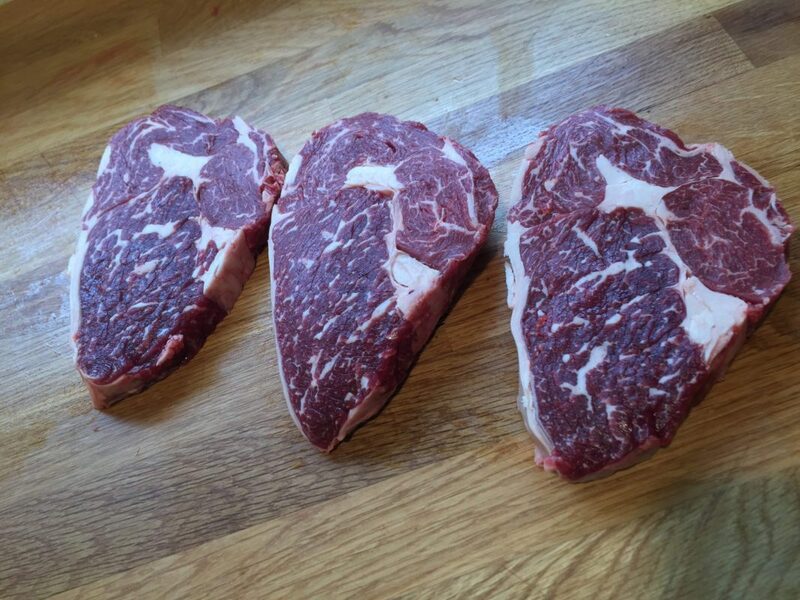 Each delicious steak is approximately 220g. 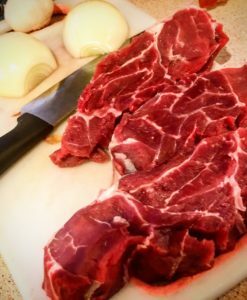 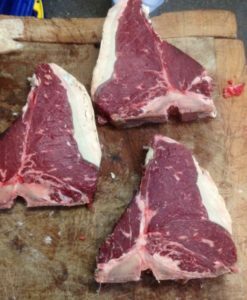 Let us know in the order notes at the end of shopping if you would like larger or smaller steaks. 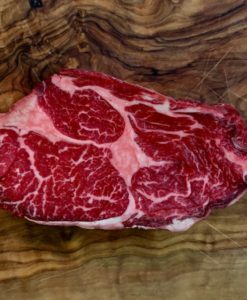 Our Rib-eye Steak is hung for a minimum of 30days. 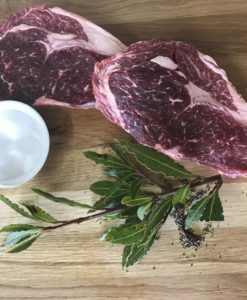 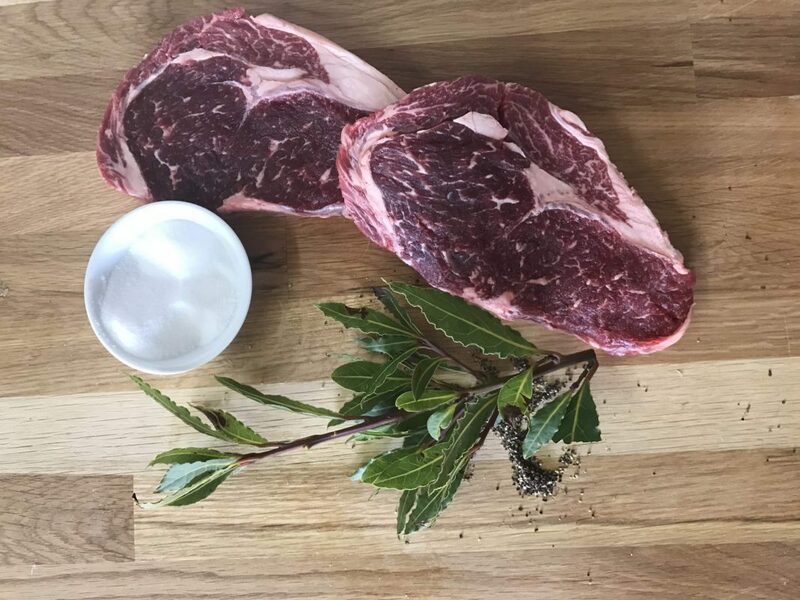 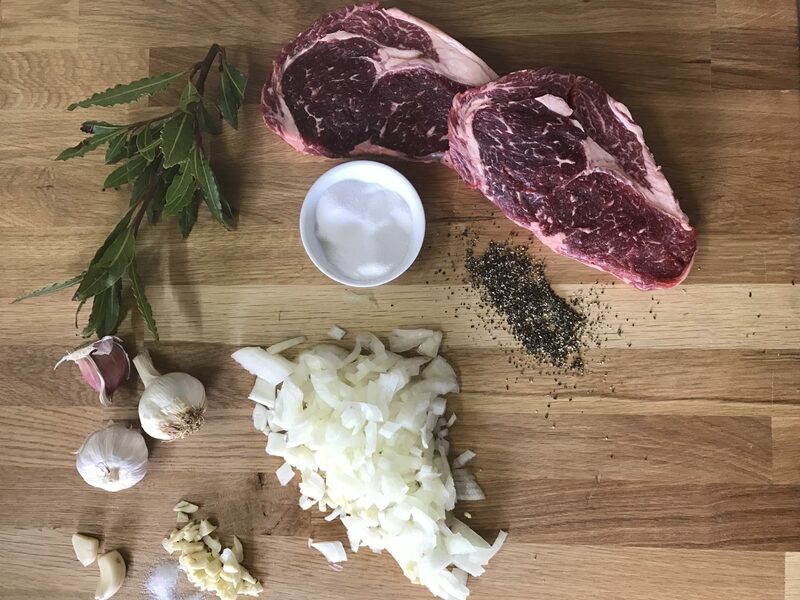 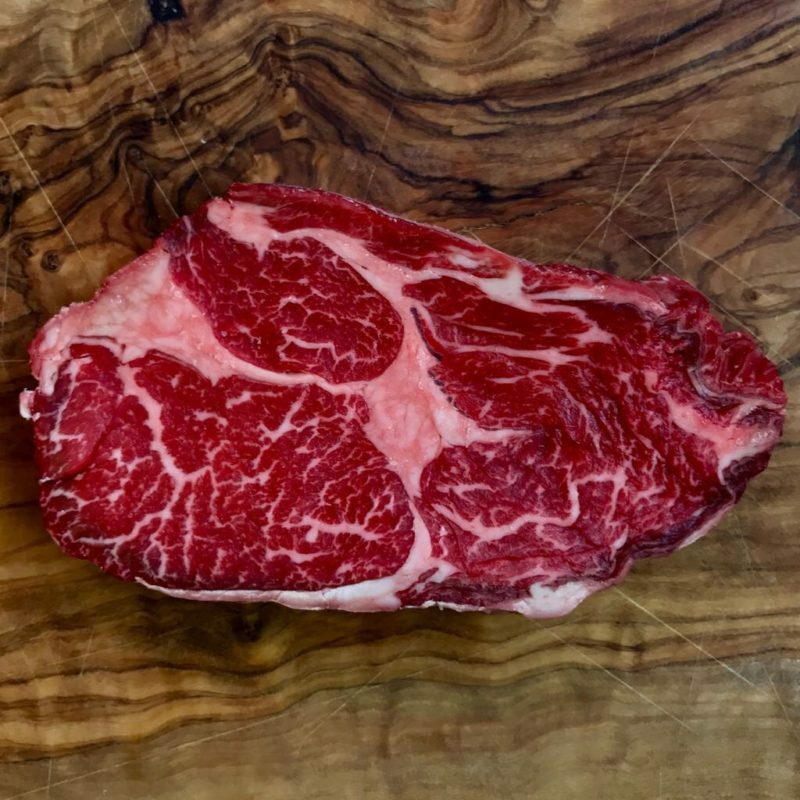 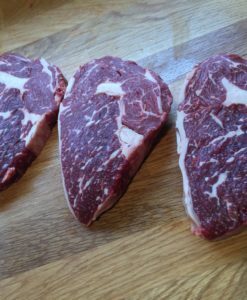 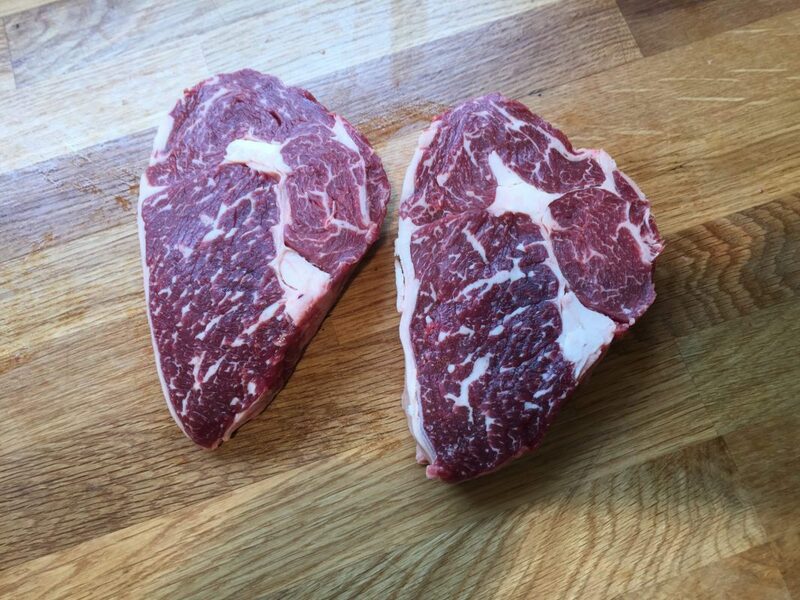 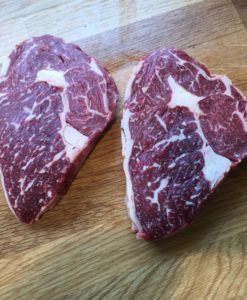 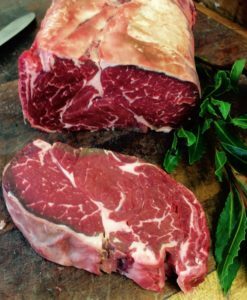 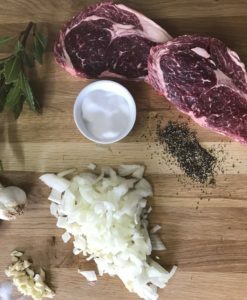 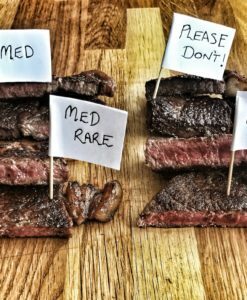 Rib-eye steaks come from the centre of the Forerib, and are usually well marbled, with a reasonable fat cover. 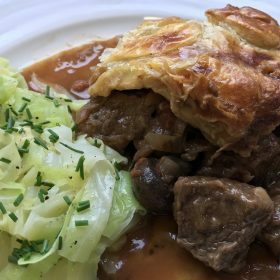 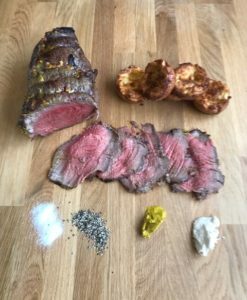 Utterly succulent and full of flavour. 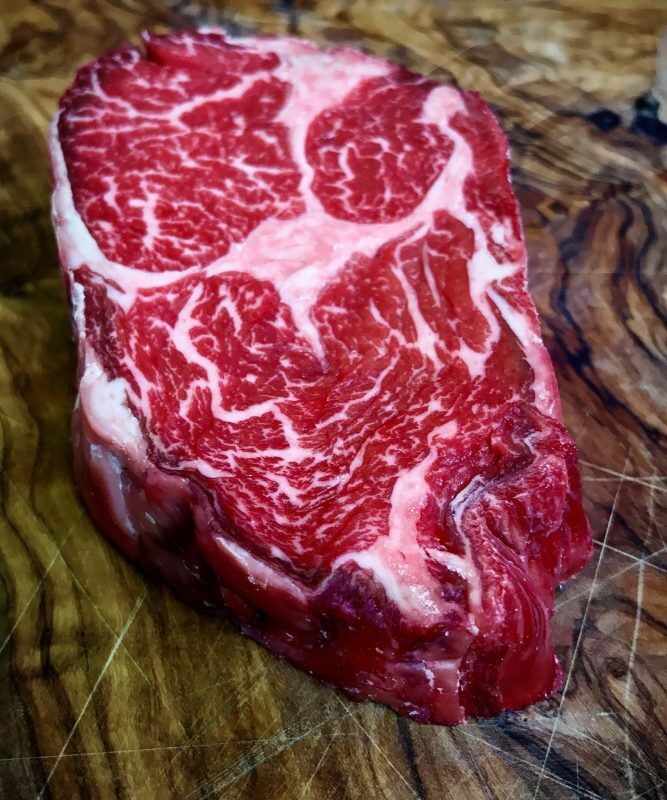 30 day aged as a minimum. 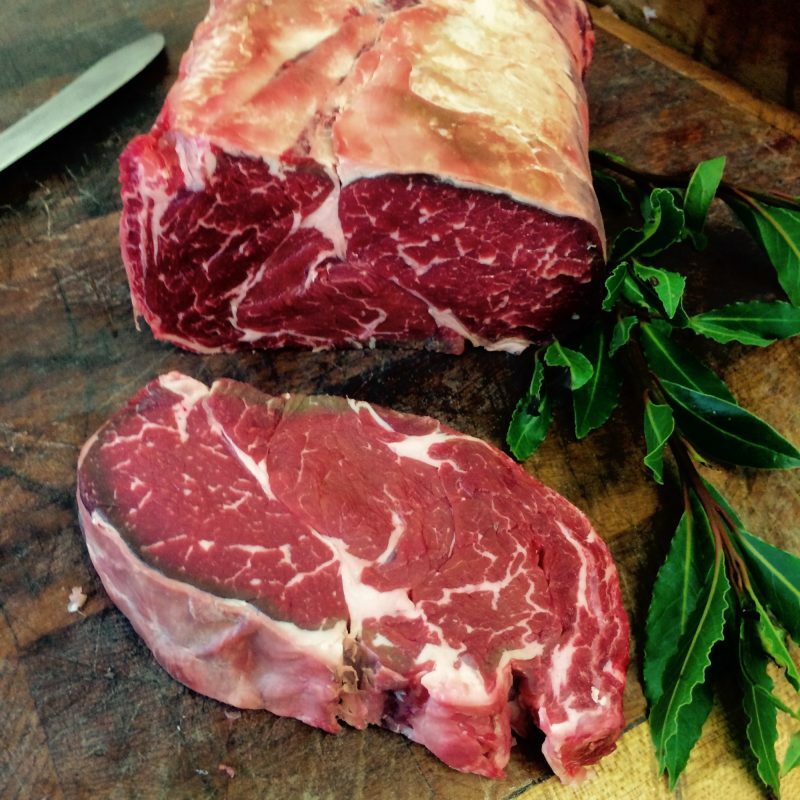 Beef reared using traditional husbandry, grass-fed.